My dearest Alex, it’s so hard for me to believe that you’ve been at the Bridge for six years now, yet every single day I miss you so much. You were, and always will be, the best HusbandCat a girl could have or ever hope to have. You still come to me in my dreams and I love the snuggling and being happy just like old times. If I could spend some more days with you in this world I would be most happy to look into your eyes and purr. The good times we had outweigh the sadness of your departure, but honestly, it still hurts my heart that you are at the Bridge. Since I wrote you last year my Sisters Sascha and Kit have come to the Bridge. Please tell them we miss them both each and every day. One day we’ll be together again and that will be a special occasion for both of us. Just don’t be surprised if it’s sooner rather than later my love. There are days when I’m not sure I can go on as my breathing becomes more and more difficult. I love you my dearest Alex, always. Until then, I’ll see you in my dreams and I watch your star shining brightly on every clear night. 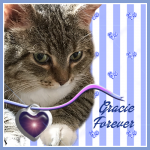 Dear Gracie, it is hard to believe that it has been 6 years. That is a wonderful tribute to your Alex. 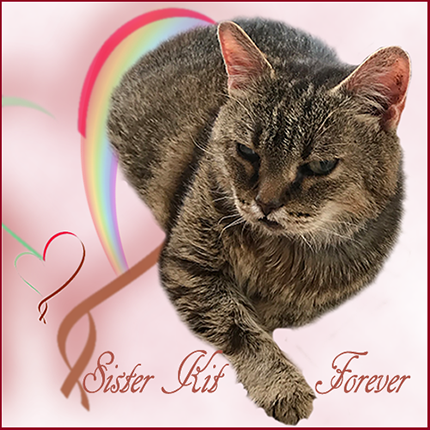 Purrs to you as you remember him today and always. 6 years yet can still feel like yesterday. Hopefully it’s not sooner rather than later. What a darling letter to Alex from Sister Gracie……six years is a long time but the sadness is like yesterday. Gracie, don’t be too big a hurry to join Alex – he’s there with you every day and you are important to your family here. Gracie, what a lovely letter to Alex. I bet he misses you too. We sure have all our paws crossed that your breathing gets a little easier once this hot weather goes away. So sorry you are having so much trouble breathing. Hang in there Gracie. Have a good day. Sweet Gracie, we are sorry that you are having a harder time with your breathing. We know you want to be with Alex again, but try and hang around with us a little longer, please! The love in one’s heart does not change whether it be six days or six years … the love lives on, bright and strong. We remember when Alex left. It was a sad time. Sending you many purrs this day, Zoe. Very sad and very touching. What a beautiful love letter to someone you’re missing. I’m so sorry for your loss. Those that leave us are always missed. Oh Gracie, your post made me sad for you! I hope your health improves, and you stay here on Earth with us awhile longer. 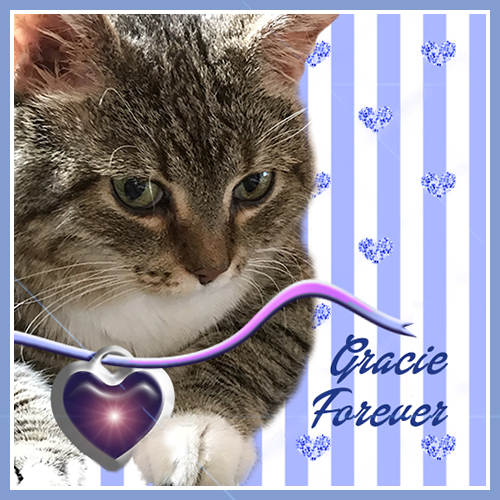 Gracie, we are sending you lots of hugs and love today. 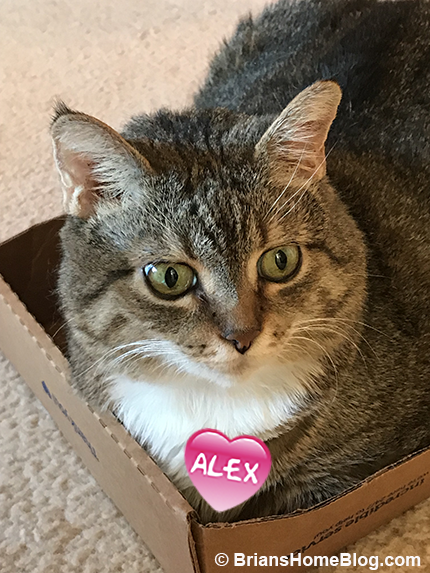 We didn’t know Alex, but he must have been very special is he was your true love. We’re also sending healing purrs for better breathing. **sniffullsss** Oh Gracie what a heartfelt an poin-ant letter to yur bee-luvved Alex. 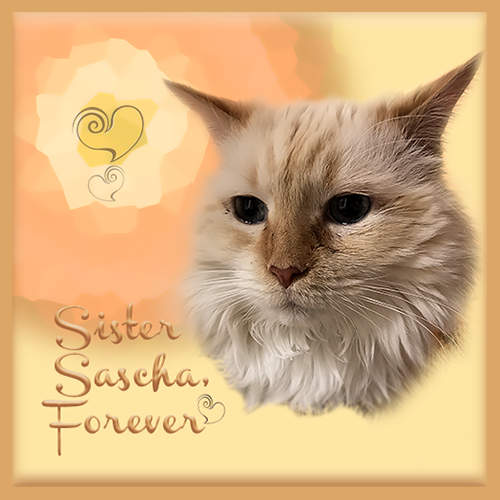 Mee iss sorry that Sisfurss Sascha an Kit are all so inn Pure Land with him. An wee iss sorry yur breethin iss not good…. Whoa! That’s some heartfelt letter, Gracie. If you don’t mind, I’d rather see you join him later rather than sooner. Oh, and tell him to tell Buzz Lucas how much I miss him and look forward to being with him again someday. My heart hurts too. Oh that is so sweet. Sorry to hear that Alex is gone and has been but totally nice to know that he is still thought of. Brian…I am back! That was beautiful dear sweet Gracie. We saw this earlier today and wondered if it was a foreshadowing of what was to come. Sweet Gracie, we are sure that Alex was the first to warmly greet you upon your arrival over the Rainbow Bridge. Many tears from the Woos and Mom. it is beyond hard to believe it has been 6 years! OMG, I pray for Gracie. 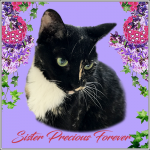 Gracie, mom and dad…I am just so so sorry and sad. What a sweet note to your Alex. RIP, Gracie.